Keryi.Can.Boleh: Time to party at the Luau Party with Kinohimitsu! are coming together to bring us the most awesome party to end the year! They will be hosting a Luau party for all of us! They will be pampering 50 bloggers with a night of pure fun and relaxation! nature-based extracts in their products. bases on the holistic approach to improve our well-being. it is safe and effective to consume. learn and start taking care of my inner beauty! 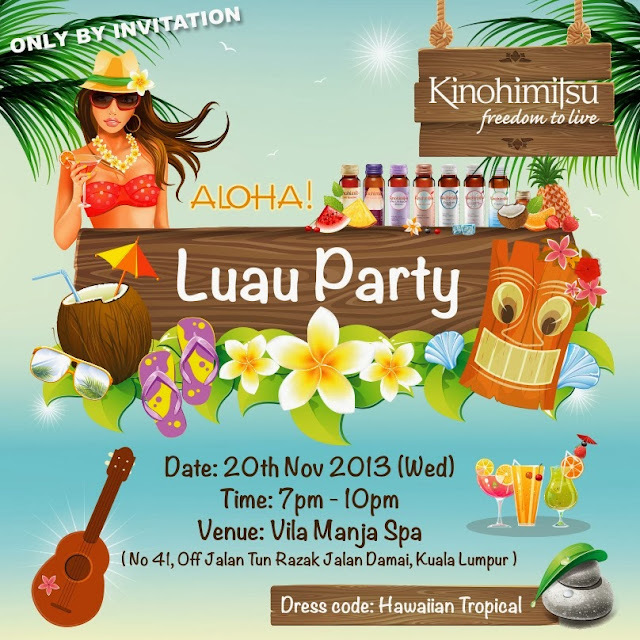 Do you know what Kinohimitsu giving out at the Hawaiian Luau Party? How can you not get excited!!! for more info on their products.